Smoke DZA & Pete Rock "Dont Smoke Rock"
We are LES is a portrait project about the emerging skateboard culture on the Lower East Side of Manhattan. I grew up skating and in the 11th grade I tore my ACL which hindered my ability to skate. That injury put me in a dark place in my life. I wasn't motivated and I felt like I was existing instead of living. I started photographing my friends who skated on my iPhone 4. My mother eventually saw these images and decided to surprise me with a camera for my 16th birthday. This project is very special to me because it reminds me of how I got started, my progress, and how photography has permanently changed my life. 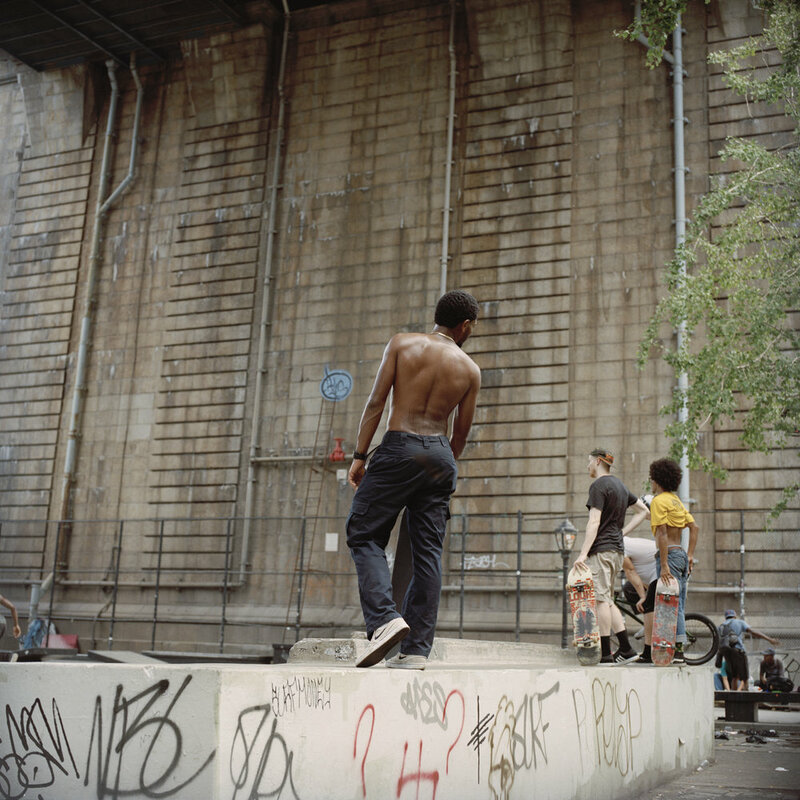 Influenced by the meticulous style of Rineke Dijkstra, I’ve decided to go back to where it all started with an intimate portrait project documenting the growing skateboard sub-culture that I was once part of surrounding Coleman Skatepark on the Lower East Side of Manhattan.